Chloe Dubois and James Middleton aren’t household names – and frankly, neither of them care. What they care about is removing marine debris from the ocean, near their home in Vancouver, in the US and Mexico, and near their facility in Panama. 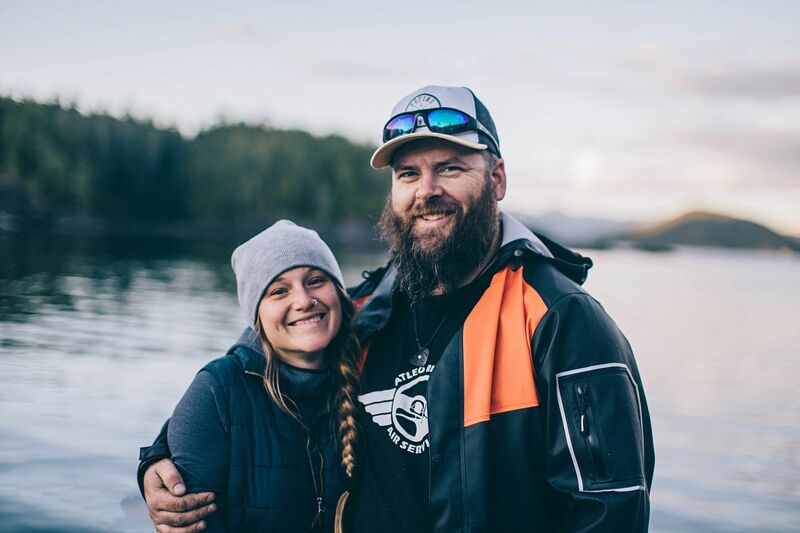 In 2014 they co-founded the Ocean Legacy Foundation and in four years have collected over 120,000 pounds of plastic and marine waste from 50 miles of remote beaches. And debris collection is just the beginning of their work. The Ocean Legacy stands out from most ocean cleanup groups because they are able to recycle almost everything they collect – an estimated 90 percent of the debris is reused. To date they have created 750 gallons of gasoline, among other useful materials. While most organizations dump the debris they collect into landfills, the Ocean Legacy recycles bottles, foam, tires, fishing rope, and so much more (26 different materials in total). And their vision is much bigger than the current operations. Chloe and James are creating an extensive platform to bring a network of collection, processing, and manufacturing players to the same table. To them, this is the ultimate solution. A sustainable answer to the massive islands of plastic floating in the Pacific. And it isn’t just a pipe dream … it’s already underway. 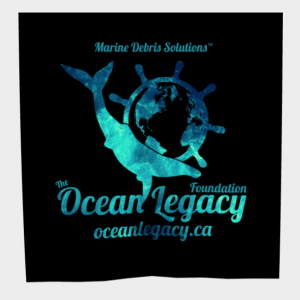 The Ocean Legacy Foundation already partners with 25 cleanup groups from around the area, taking in marine debris and recycling all of it in their Vancouver warehouse. 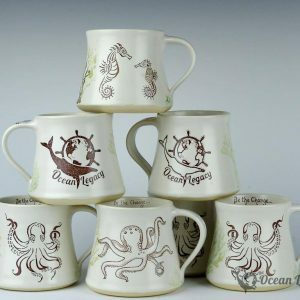 Thanks to the support of more than 20 regular volunteers, the Ocean Legacy is able to hand-process high volumes of material and partner with two dozen processing and manufacturing companies that use the recycled materials for new products. As co-founders, Chloe and James are the perfect team. Chloe is full of energy, sharp, and perceptive. She’s the voice of the group and an absolute force when it comes to organizing, motivating, and managing teams. She writes grants, plans cleanups, and does research on new partners and recycling processes. James is quiet, steady, and tactical. He lets you talk first, and listens intently. He does most of his work behind the scenes, as the captain of their vessel, the Imperial, that helps facilitate remote beach cleanups, and by running and maintaining machinery in the warehouse. They are equally passionate about cleaning oceans and work together to run the foundation. Getting involved is easy. To volunteer with the Ocean Legacy Foundation or similar groups, simply email, call, or message them on social media. They’re always looking for new hands to help sort debris, clean beaches, and get the word out. Beach cleanups are hard work and truly take a village to happen. Chloe and James are taking on a monumental challenge and they rely on their community to be successful. 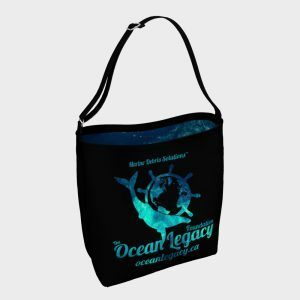 The Ocean Legacy team is passionate and welcoming, and brought me into the fold right away. Marine impact from plastics is massive. More than a million seabirds and over 100,000 marine mammals die every year from plastic. Much of this comes from small, weathered micro-plastics that can be found within digestive systems of sea life, birds and mammals globally. All told, five trillion individual pieces of plastic are estimated to be floating in our oceans. The Great Pacific Garbage Patch alone is twice the size of Texas and rapidly growing. These numbers are staggering and put into perspective how fast we need to curb the our plastic consumption. Small changes in behavior can make a big difference. Plastic straws are just the beginning. Most marine pollution – an estimated 80 percent – enters the ocean from land-based human dispersal. If we all make small changes to how we shop, consume, and invest more effort in recycling single-use products, the collective impact will be notable. A good place to start is buying reusable products: grocery bags, mugs, bottles, and utensils. Much of what we collected was single use soda bottles, plastic bags, and miscellaneous storage containers. Recovery is possible. Several European countries recycle 80 percent of their used plastics through smart and integrated waste management systems. North America lags behind significantly and it’s time for us to get to work. While many plastics are serving a needed purpose, appropriate disposal is rarely addressed. Worldwide, 220 million tons of plastic are produced each year and only a small portion of this is recycled. We can simultaneously work to reduce our demand for plastic products while improving the amount we either reuse or recycle. Taking the time to recycle products instead of throwing them away, picking up trash on a beach or on a walk, and encouraging others to do so too is a great place to start. The real solution is getting others involved. It took me a few days to figure out Chloe and James’ secret. We were sorting debris into large super sacks when it hit me: The Ocean Legacy isn’t a cleanup organization, it’s a community. At its core the foundation is all about people, not plastics. I took a moment to look around the group (a ragtag collection of people all volunteering a full week of their time to work from sunrise to sunset) and realized that for anyone to be successful in cleaning up our oceans, we first need to build a worldwide community that believes in the same vision as Chloe and James.